Stay at Knights Inn Oakley hotel located off U.S. Route 40. 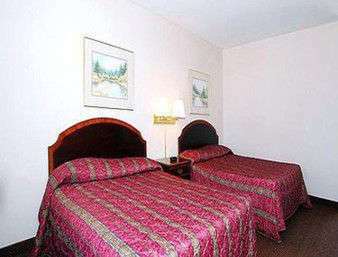 Amenities include complimentary breakfast, picnic area, laundry and complimentary parking. Rooms offer complimentary wireless internet, desk and TV. Attractions are Fick and Fossil History Museum, The Buffalo Bill Cultural Center, the Prairie Museum of Art and History and Chalk Pyramids. Restaurants are within walking distance. Pets are welcome for a fee.